Drunk driving is one of the few crimes where people with no criminal record get arrested, fail to learn their lesson, and then do the same thing again. Many people do not even think of drunk driving as a crime because they engage in this dangerous behavior so frequently. However, the truth is drunk driving is illegal and for a good reason. Thousands of innocent victims are seriously injured or killed each year because of others’ negligent decision to drive drunk. There are many public service campaigns, sobriety checks points, and increased police patrols, but much of this only serves as a minor deterrent. It cannot physically prevent people from driving a vehicle under the influence of intoxicating liquor. The ignition interlock device (IID) is designed to do exactly that. As our Boston drunk driving accident lawyers can explain, an ignition interlock device is designed to prevent a car from being started or placed into gear if the driver does not blow into a tube and provide a sample that is free from alcohol. It is basically a breathalyzer built into the ignition system that will cut off the ignition circuit or fuel pump if it detects the driver is intoxicated. While the technology has been around for years, the difficult part comes in implementing the device in practice. Currently, many states, including the Commonwealth of Massachusetts, require an ignition interlock device for repeat offenders, but the actual installation of these devices has proven difficult, because there are expenses, and, not only must the defendant pay for the installation, they must also pay up to $100 in monthly monitoring costs, and, as a practical matter, this doesn’t happen often. According to a recent news article from The Boston Globe, a Waltham company is working on a new product that could change all this, as they are creating a device that can practically be installed on millions of cars throughout the nation. The article features an interview with Bud Zaouk, who is the director of transportation systems at the Waltham-based company developing the new system, called Driver Alcohol Detection System for Safety (DADSS), as part of a joint venture between the company and the United States Department of Transportation. Zaouk believes the system will be ready to install on every car in America within the next ten years and will be the biggest safety upgrade to vehicles since the mandatory installation of seat belts on all new cars in 1966. One aspect of the new system that is remarkable is the way in which it collects a sample. 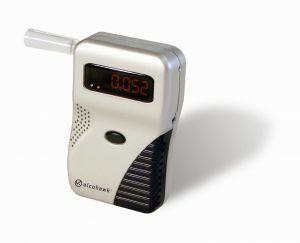 A typical ignition interlock device requires a driver to blow into a tube, as they would if the police were giving them a breath alcohol test at the station. The problem with this approach is that drunk people have been known to enlist sober people (including their children) to blow into the tube for them, so they may operate the vehicle. DADSS is designed to have sensors in the window frame or steering wheel that can detect alcohol in air in the vehicle passenger compartment. There will also be a sensor on the gearshift that measures the blood alcohol content in a driver by passing infrared light through the skin and then measuring it using a spectrometer.